Yet another anthro pony. 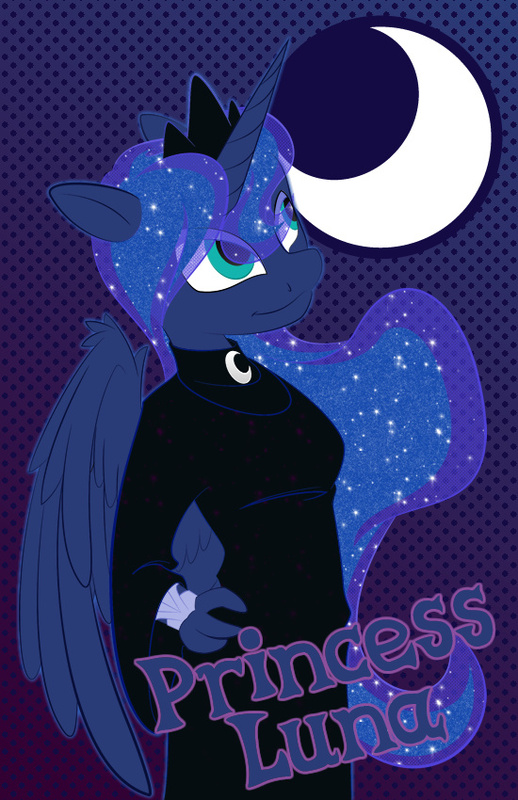 This time, I did up Princess Luna. Still not sure on the hair but I like it overall. I was feeling cool colors for her. I wanted to drop her Cutie Mark in the background like I did with Rarity and Big Mac but the one floating around (including the little card that came with the blindbag) was fairly big and would've eaten up the bulk of the background. Plus, there doesn't seem to be a consensus as to which way her moon faces.